Singapore's growth as a global business hub could eventually make it a command centre for multinational giants, with Singaporeans at the helm of these firms. 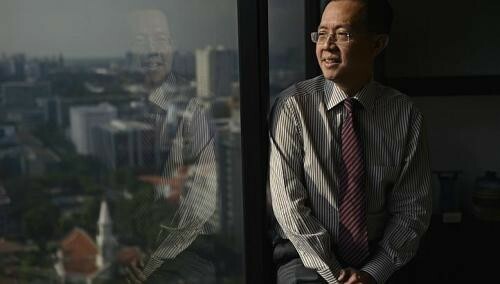 That goal is on the agenda set out by the Economic Development Board (EDB) as it works to develop the country into a base for the international and regional headquarters of major companies, said chairman Leo Yip in an interview with The Straits Times. "More companies are increasingly conducting global decision-making activities, such as procurement and brand management, out of Asia," said Mr Yip. "The market pull of Asia is increasingly attracting multinational companies... (and) companies are responding and organising themselves to have both regional and global functions here, and that is translating into new and exciting jobs for Singaporeans." Consumer business giant Unilever and electronics firm Panasonic are just two of the companies that have based some of their global functions here. Singapore also serves as a regional base for cereals maker Kellogg's and carmaker Daimler. Even though it is still fairly rare to find Singaporeans in the upper echelons of such multinationals, the EDB will continue to work with firms to help get more locals into top posts, said Mr Yip. "If the company brings in a new activity that is leading- edge... to kick off the activity here, professionals from overseas might need to be brought in. "But Singapore's value proposition to these global companies would not be complete without Singaporean skills and talent." To that end, a pipeline of local managerial talent is needed to support the international and regional headquarters being set up here. "For a Singaporean to develop his or her career in a (multinational) on a managerial pathway, he or she will have to build up exposure to regional, or even global, markets," said Mr Yip. The agency is working with companies to develop programmes that will identify locals for key positions. These programmes range from internships for undergraduates to leadership training schemes developed by companies and government agencies. For instance, Unilever's Future Leaders Programme has hired 60 management trainees here over the past three years, more than half of whom were Singaporeans. DHL's Asia Pacific Graduate Solutions Programme aims to train 30 graduates over the next five years. Its first intake last year included six Singaporeans. In addition to top managerial positions in global companies, once uncommon jobs in emerging industries are now available to Singaporeans, said Mr Yip. The EDB continues to incubate new industries such as data analytics, biologics and advanced manufacturing, but will also build up a reservoir of talent for companies in these emerging sectors. Its efforts include schemes designed for specific companies as well as ones that apply across an industry. One such scheme has the EDB partnering the Workforce Development Agency to train more than 300 Singaporean manufacturing specialists in the biopharmaceutical industry. Further, more than 40 Singaporeans are now receiving training under the Industrial Postgraduate Programme, which was set up to create a pool of postgraduate manpower with industry-relevant research skills. "The best talent environment is not just about being able to recruit the talent, but also about being able to grow and develop talent here," said Mr Yip.